Abundance Farm: Make Matzah and Hunt for the Best Maror! Make Matzah and Hunt for the Best Maror! 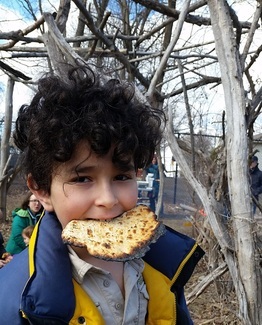 Sign up for a time slot to make matzah at Abundance Farm. Please sign up as a FAMILY. One family per time slot. If you have two or more kids in the family, you can sign up for another slot, but we ask that parents work with their kids. One 3yo and one or two adults. 3 kids and two adults- may not make it if the Baby likes Sunday as a birthday! We are two adults and three kids. All of us and bringing 2 friends! If you would like to try and make matzah that might approach being fully kosher for Passover, now would be the best time. My mother and I would love to learn and participate. Hopefully the 3 of us.